Captain David A. McLeod. 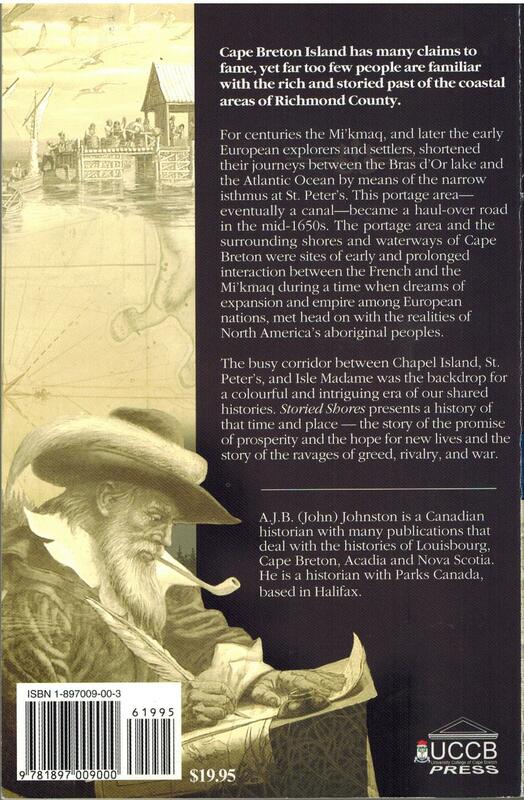 Cape Breton Captain: Reminiscences from Fifty Years Afloat and Ashore. 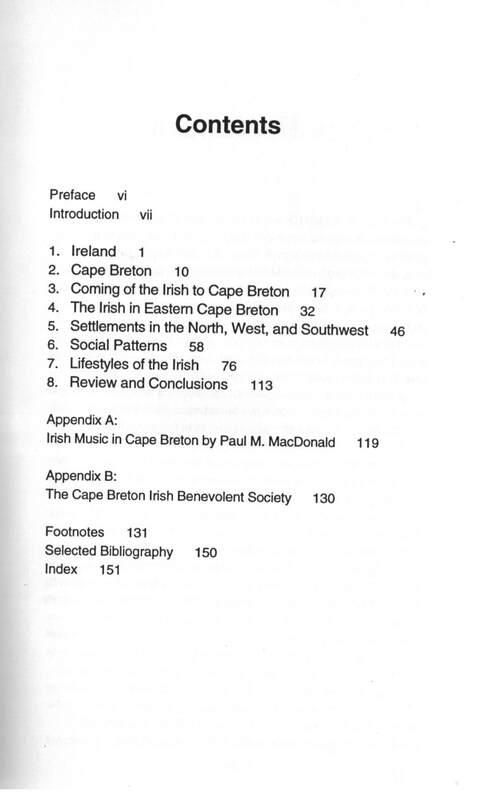 (Wreck Cove, NS: Breton Books) 1992. Returning home to River Inhabitants from an ocean voyage, the Captain would take his ship UP THE RIVER as far as McLeod's Landing, which today is called Cleveland. 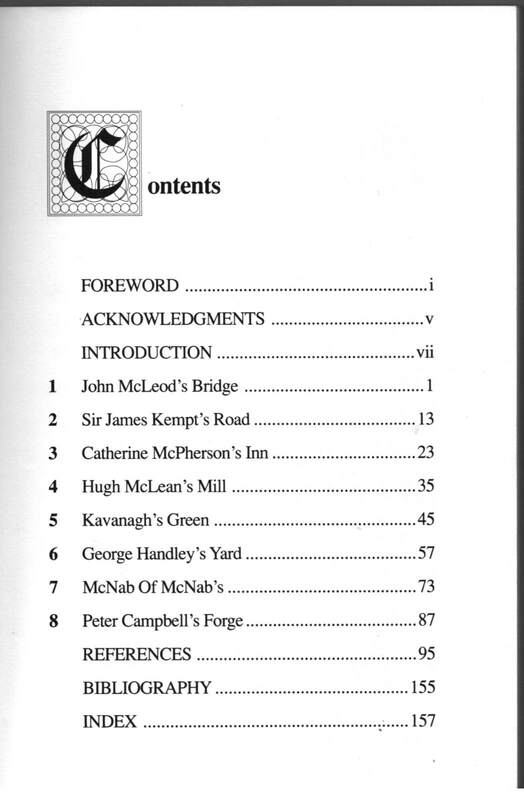 The bridge is still refered to as McLeod's Bridge. Arthur J. Stone. 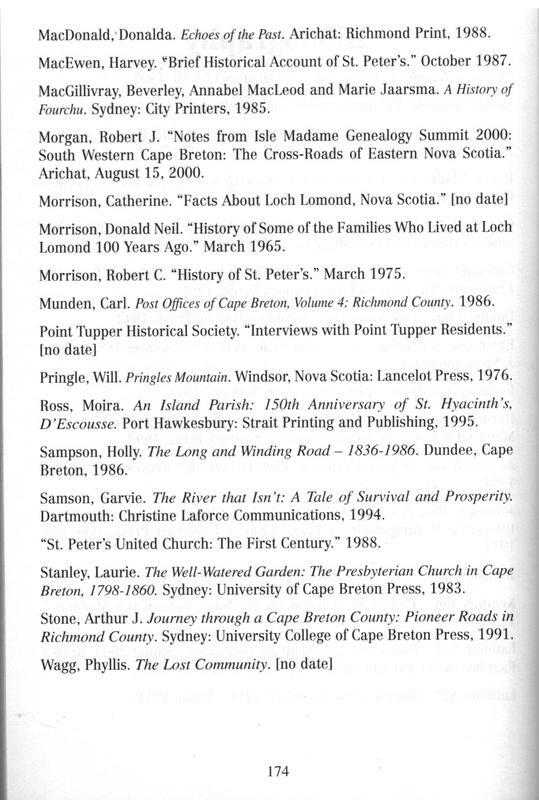 Journey Through a Cape Breton County: Pioneer Roads in Richmond County. 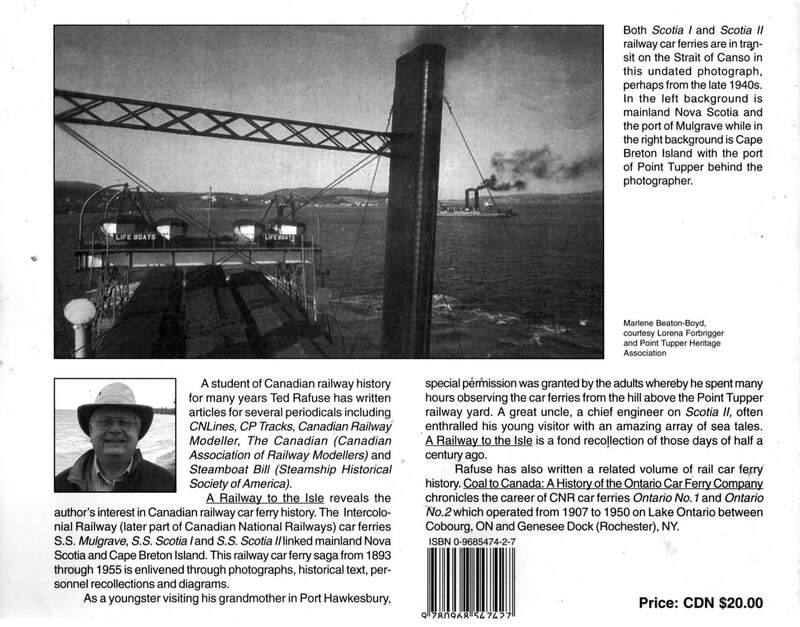 (Sydney, NS: University College of Cape Breton Press) 1991. Angus A. MacKenzie. 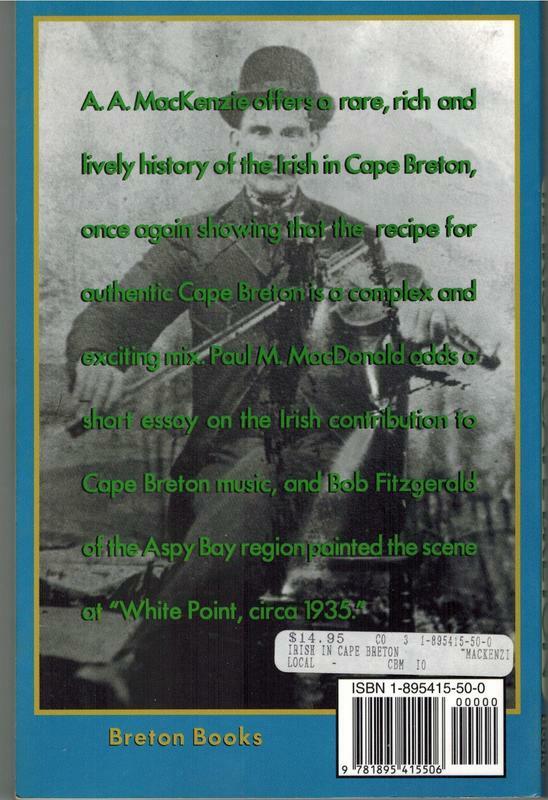 The Irish in Cape Breton. 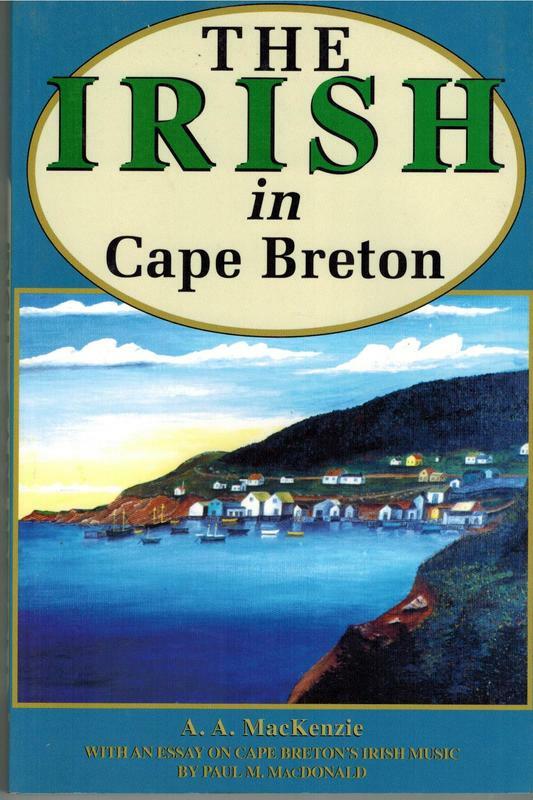 (Wreck Cove, NS: Breton Books) 1999. 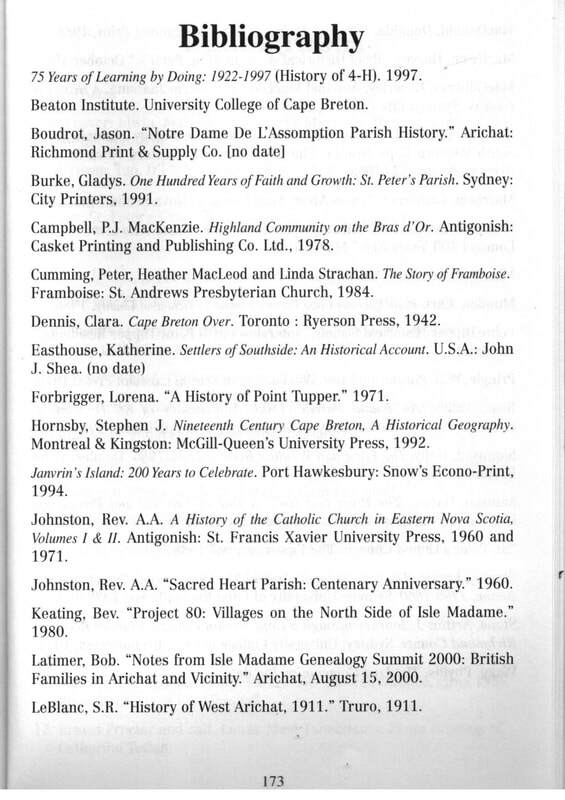 "Born in Pictou County, Nova Scotia, A.A. MacKenzie....he eventually landed, rather uneasily in academic life, and taught Canadian and Maritime Provinces history at St. Francis Xavier University in Antigonish until his retirement." ​Mary Pat Cude. The Bargain. (Charlottetown, PEI: Ragweed ) 1999. The novel is set in the River Inhabitants Basin area, principally in the port of Walkerville, leading up to the 1860s, the period of Canadian Confederation. The author is a Cape Bretoner and draws on her family history to tell a story. ​ Stephanie Campbell. Peer into the Past: History and Oral Traditions of Richmond County. (d'Escousse, Nova Scotia: Richmond County Literacy Network) 2004. 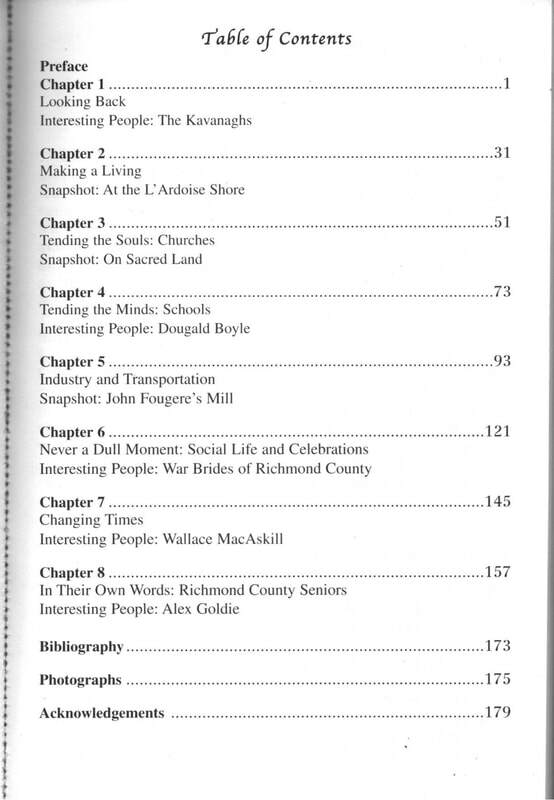 With the help of Resarch Assistant Anne Marie Yorke, Campbell assembles information about Richmond County's history from several sources including interviews with seniors. 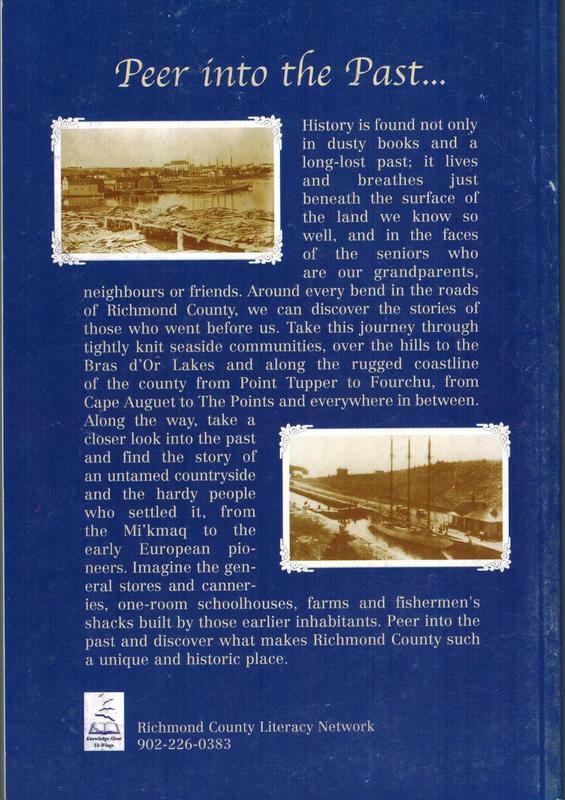 The publication of the project coincided with Richmond County's 125th anniversary in 2004. A.J.B. Johnston. 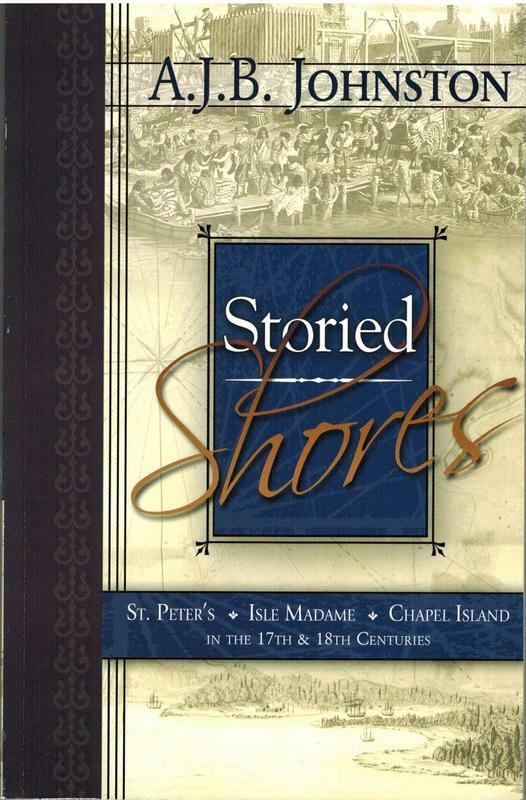 Stories Shores: St. Peter's, Isle Madame and Chapel Island in the 17th and 18th Centuries. (Sydney, Nova Scotia: University College of Cape Breton) 2004. ​Ted Rafuse. 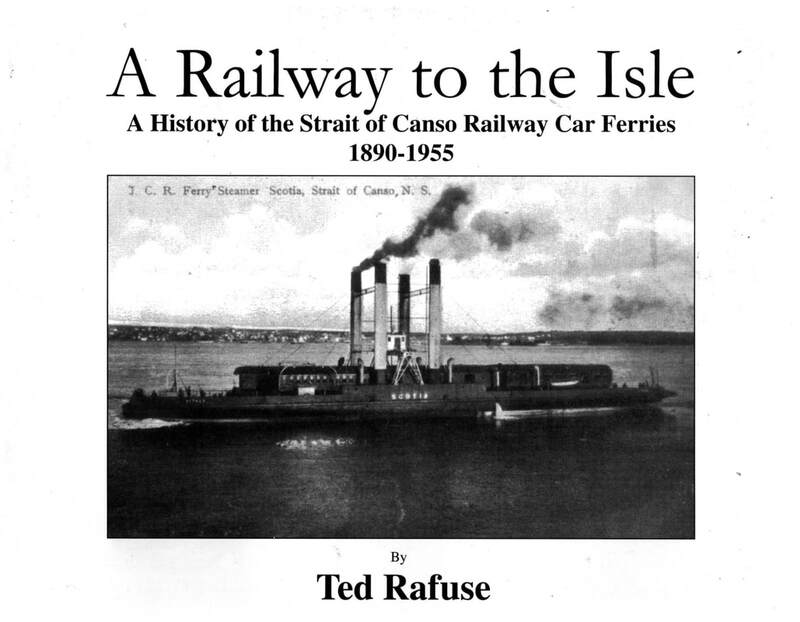 A Railway to the Isle: A History of the Railway Car Ferries in the Strait of Canso between Mulgrave, N.S. and Point Tupper, C.B.I. ​(Port Hope, Ontario: Steampower Publishing) 2005.